"I learnt to paint by watching my mother, my sisters and my grandmother paint." 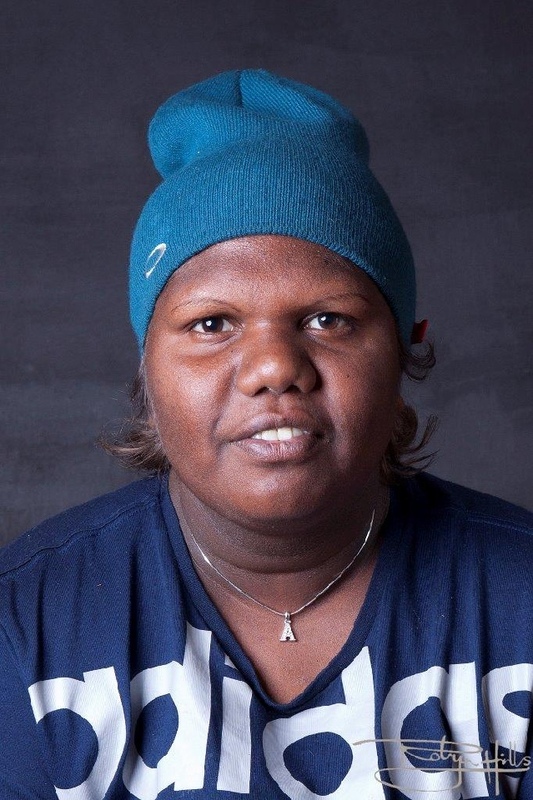 Athena Nangala Granites was born in 1994 in Alice Springs Hospital, the closest hospital to Yuendumu, a remote Aboriginal community 290 km from Alice Springs in the Northern Territory of Australia. She has lived most of her life in Yuendumu, attending the local school and graduating from Senior Girls Upper School in 2009. Since leaving school she has gained work experience working in the office at Mt Theo, a program that provides comprehensive training in youth development and leadership. She has also married Sebastian Jupurrurla Wilson and they have one son, "little Henry Peterson Wilson". Athena enjoys being Mum to little Henry. Although young, Athena comes from a long line of artists. She is the daughter of Geraldine Napangardi Granites and the grand-daughter of Alma Nungarrayi Granites, well-known artists who paint with Warlukurlangu Artists. She is also the great grand-daughter of Paddy Japaljarri Sims (Deceased) one of the founding artists of Warlukurlangu Artists. Athena has been painting with Warlukurlangu Artists Corporation, an Aboriginal owned and governed art centre located in Yuendumu, since 2010. She paints Jukurrpa from her father's side (Ngapa Jukurrpa - Water Dreaming) and her mother's side (Ngalyipi Jukurrpa - Snake Vine Dreaming and Yanjirlpirri Jukurrpa - Seven Sisters Dreaming), stories which relate directly to her land, its features and the plants and animals that inhabit it. Athena uses an unrestricted palette to develop a modern interpretation of her traditional culture. When Athena is not painting and when the rain comes and it is cooler she likes to go hunting with her family for Honey Ants, Bush Banana, Goanna and Kangaroo.